This individual Report Open Prepaid Market Performance: Spend, Growth & Opportunity is available for purchase. This Report is available to members of Mercator Advisory Group’s Prepaid Advisory Service. Please be advised that this Report is normally part of a research and advisory service that provides ongoing support throughout the year. As such, this Report contains significant depth of content that is selected for its strategic importance to our members. (For a description of these services, see our Advisory Services section). This latest report, the first of three reports that will thoroughly benchmark everything prepaid, reviews all 12 categories and 33 market segments and then benchmarks the spending, growth, opportunity and the number of cards issued in 2004 for all Open Prepaid Solutions. The report finds that the total spending across all 33 prepaid market segments, including all Open and Closed Solutions, grew by almost 21 percent from $110.7 billion in 2003 to $133.9 billion in 2004. Closed Solutions loaded $124.8 billion while Open Solutions loaded only $9.04 billion. While Open segments are much smaller in total dollars spent, the small size enabled impressive growth rates. The entire Open market grew by 91.6 percent while four of the six segments that grew by 100 percent or faster are all Open Solutions. "For example, while the State Unemployment Segment grew at an impressive 350 percent, the fastest growth rate of any segment, the percentage was established with an increase in spending of only $14 million when the state of Utah moved to full deployment. While the Money & Open Gift Card Segment posted an impressive growth rate of 255 percent, moving from the $400 million in 2003 to $1.42 billion in 2004. 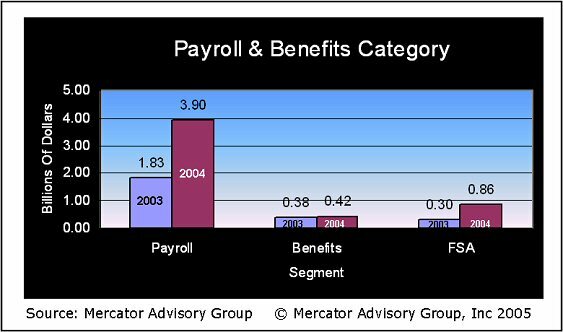 This segment suffers instability derived from high risk associated with Federal and State legislation combined with low margins inherent to the product. 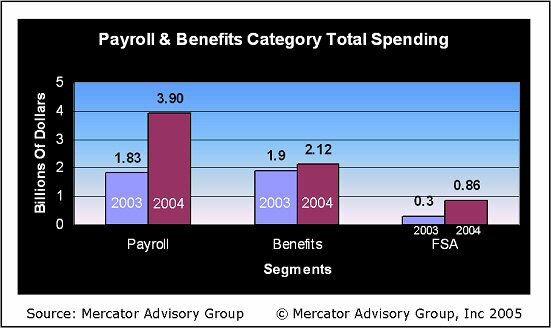 The most stable and profitable Open segments are the Payroll, Benefits, Employee & Partner Incentives, and Consumer Incentive markets. Our research documents the powerful benefits that both the cardholder and the business derive. It is clear that businesses are ready to ramp up deployment in these areas." The report is 35 pages and contains 24 exhibits.